The The Alchemical Tarot is the creation of the internationally known mystical artist, Robert M. Place. 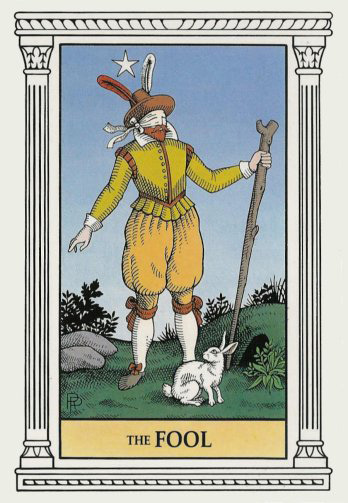 The deck began with a flash of insight, in which Place realized that the symbolic images in alchemical texts were interchangeable with the standard Tarot trumps, and that the Tarot outlined the same process of mystical transformation as alchemy. This insight led him into a process of research, writing, and drawing and after eight years the result was an uncommonly beautiful and meaningful deck.